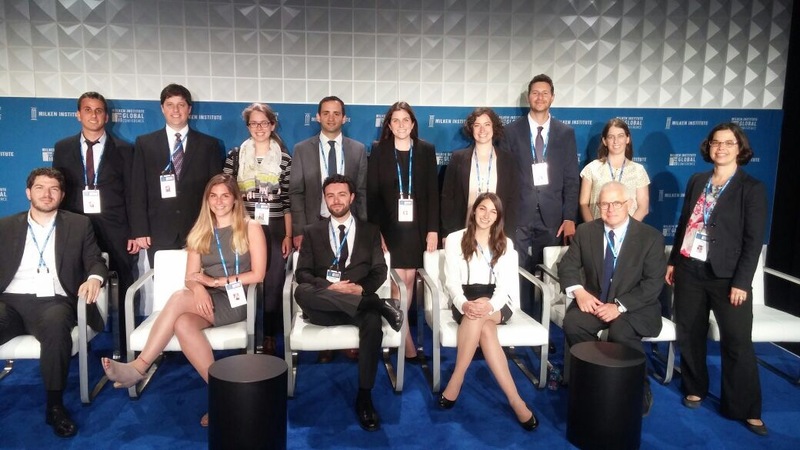 Home » Milken Fellows » Robotics: What does the future hold? Big data, fake news, monetary and fiscal policy, ag-tech, philanthropy, bio-tech, the Brexit and the future of Europe-these are only several subjects that stood at the center of the global Milken Conference. 4,000 participants from different countries and 600 speakers took an important part of one of the most fascinating economic conferences in the world. Three full days of networking and an amazing meeting with Mike Milken and many other experts in their fields. What was the most interesting part? It’s hard to choose but I will elaborate on the following topic – the development of robotics and its impact on future employment. The tasks that robots are able to perform are growing as a result of the growing development of this industry worldwide, especially in the US. Companies such as Apple, Google, Amazon, Microsoft and Intel have identified the potential in the field years ago, invested in it and are acquiring leading robotics companies. The fast development of the field raises quite a few questions such as: What will be the implications of the development of the industry on the labor market, will the robots replace people and to what kind of jobs can this happen, and can changes in the labor market be made to ensure that unemployment does not rise dramatically? Of course, every possible scenario and its implications must be considered. One must consider the social benefits that should be divided, the role of education in each scenario, and how students and employees can be prepared for these developments. The second, new and different jobs will be open – we can achieve balance – there will be jobs that will no longer be needed (the most familiar example: truck drivers) but new jobs and opportunities will develop in the labor market that do not exist today. The third, “It will not happen to me” – 75% of the population is aware of the new trend – 50% of them believe that the automation of robots will not harm them and their employment. According to one of the speakers in the panel, it is possible to deal with this by training workers and providing them with new tools that will help them cope with the upcoming changes in the labor market. The fourth, education and teaching in grades 1-12 is critical (not that up till now it wasn’t), but because of the new expected (or unexpected) situation, education in schools is more important today than ever. The education system must build plans to prepare deeply for the new employment world. It is surprising to see that despite the fact that Israel is considered a high-tech superpower in the field of robotics and the changes resulting from these advanced technological developments, no serious preparations are apparent. In conclusion, the k-12 education system, the higher education system and employers are required to learn from what is done in this field in the United States, to invest and develop advanced and updated educational and training programs that will give the next generation tools and capabilities to deal with the dramatic changes that robotics will bring.